Is there a pay to play problem in the analyst industry? In the Analyst Value Survey every year, we ask participants which firms in the analyst industry are most, or least, independent. 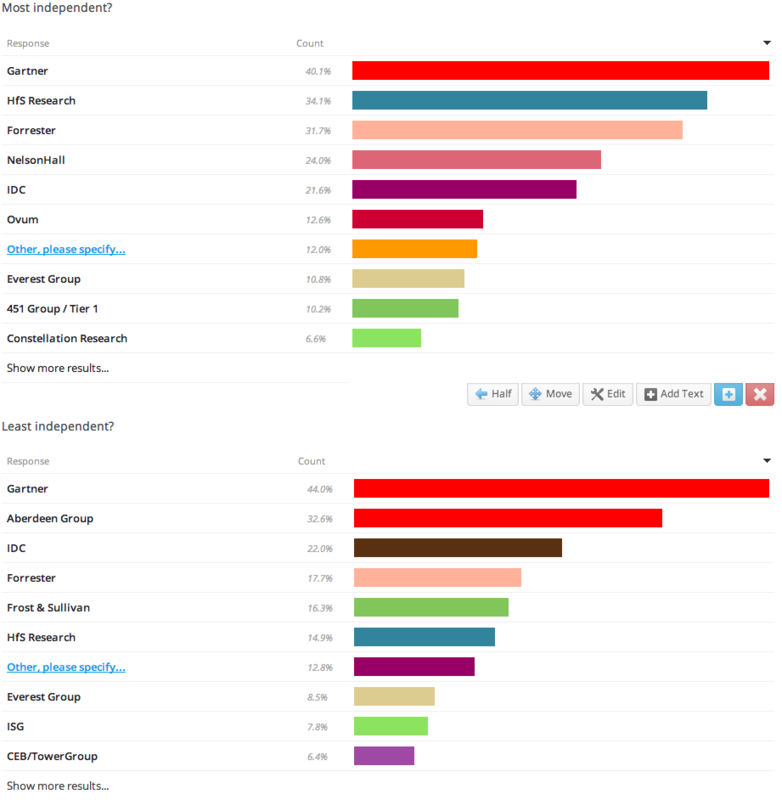 Rather unsurprisingly the biggest firms get the most votes in both categories. Here’s a chart to show data from the most recent survey. But some firms get only in the most independent top ten (NelsonHall, Ovum, Constellation) and some only get in the top ten for least independent (Aberdeen and Frost every year, but now I’m sad to see ISG and TowerGroup there too). Everything I have seen from twelve years running this survey suggests that there’s no major shift going on, but there are some trends. I’ll be writing more about it, but sharing this chart is a start. Very helpful research and charts. Can I ask why you don’t include Dresner Advisory Services? Hi Kate. No one selected it as a response.